I've just received an advance copy of George MacDonald's The Golden Key from Eerdman's Books for Young Readers, a new edition illustrated by the incomparable Ruth Sanderson, which will be published in December. Now, I've got quite a library of MacDonald's books, and am not easy to impress, but MacDonald and Sanderson are a marriage made in the third heaven, as St. Paul might say. 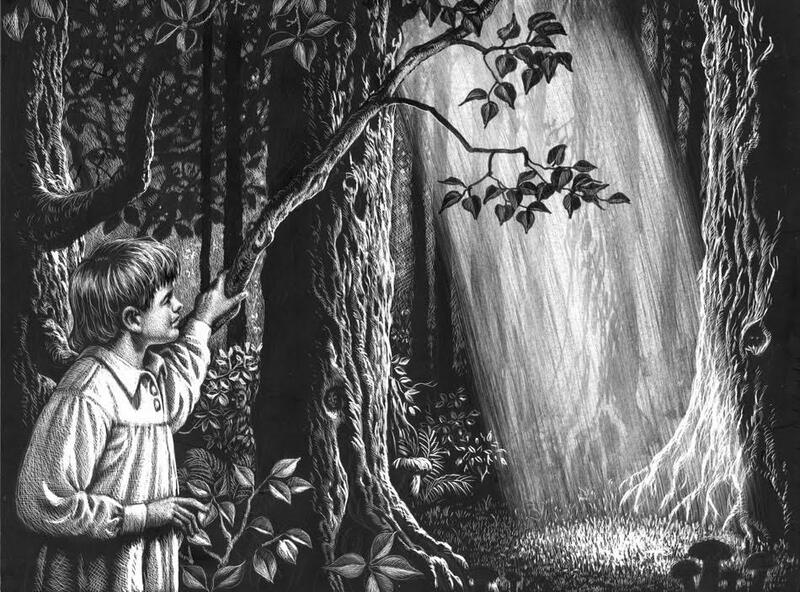 Breathtakingly beautiful hardly begins to describe this book; Sanderson' black-and-white scratchboard illustrations have the haunting quality of one's profoundest dreams. 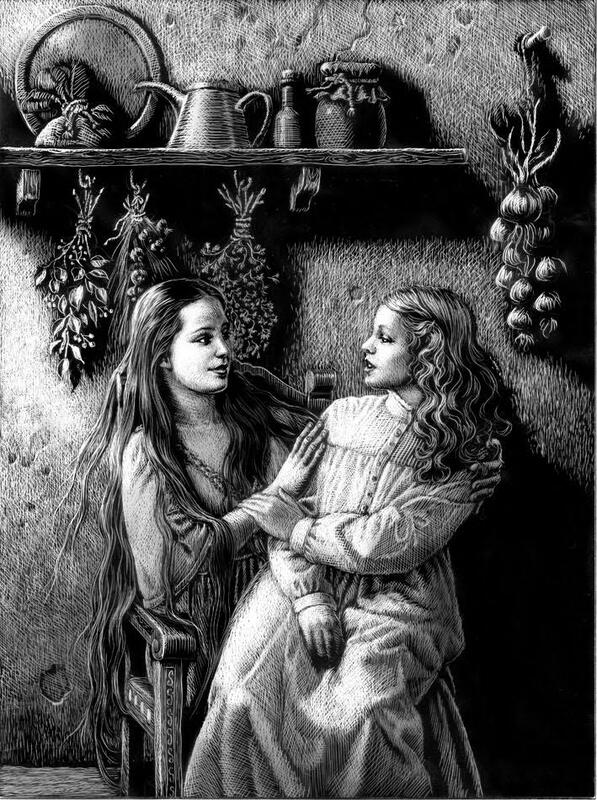 Click on the image below to view a slideshow of illustrations by Ruth Sanderson for The Golden Key--though the images on our site don't really do justice to their impact when you are holding the book in your hands.